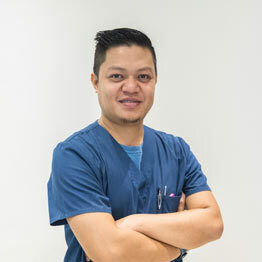 Lloyd has almost a decade of veterinary nurse experience in the Middle East, with previous roles in both Abu Dhabi and Qatar before joining GVC in November 2018. Away from work, Lloyd loves to spend time with his family, quiet time relaxing with a movie or boxset is bliss. However, Lloyd’s passion for animal care and looking after his furry patients is a constant source of satisfaction. Lloyd’s passion is providing the very best care for all the animals that come through GVC’s doors. Lloyd has a fondness for fish and finds time with his aquarium a nice way to unwind. As a lover of all animals, Lloyd is never happier than when he can spend time with his patients and help take care of their needs.